The guest house is located in the center of Špičák. For parking you can use a private parking. Access to the house is in both summer and winter easy. Chairlift on Pancíř at a distance of 300m. The ski area Špičák is available for 8 min. foot. The largest ski resort in Šumava Arber in Germany is located at a distance of 15 min. drive. It is possible to choose the difficult terrain and slopes for beginners. Varied menu of tracks. 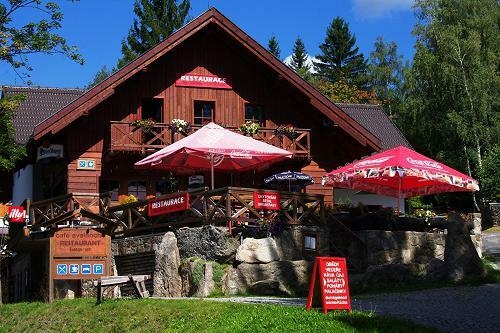 In summer it is possible to operate tourism as the Czech and the German side of the Šumava as a trip to mount Ostrý, Černé a Čertovo jezero, etc.